My On The Go Drink Has a $5 Off Coupon!! Just like me, I’m sure you’re the resident expert at balancing the family calendar. Managing a successful and rewarding career while keeping the family on-time, dressed, and fed is the easy part. It’s making healthy decisions for myself where things get a little more difficult. Even though I’d love to make more than a seasonal appearance at my favorite barre class or sit down with my girlfriends and enjoy a glass of wine and a well-balanced meal once in awhile, my schedule leaves me too busy to even think. What’s a busy woman to do? 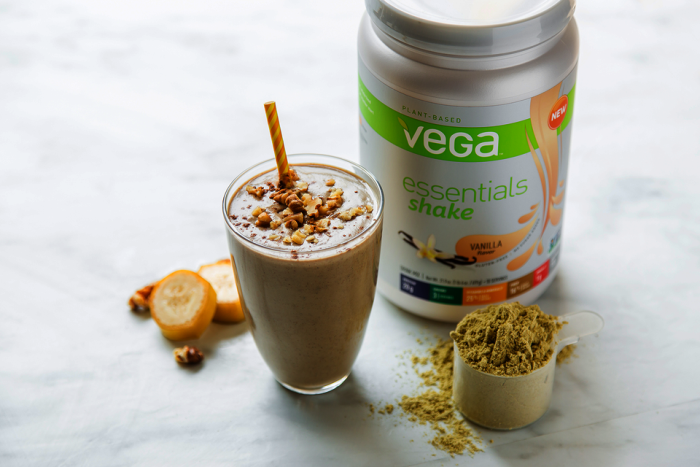 What I love about Vega Essentials is how easy it is to shake up when I’m on the go, mix into my favorite smoothie, or add into my baking recipes. Vega Essentials has the nutrition better days are built on with twenty (20) grams of complete protein, three (3) servings of greens, 25% daily intake of food-based vitamins and minerals, plus fiber and Omega-3s—all for only 130 calories per serving. Vega Essentials gives you one less thing to think about so you can take care of everything else that matters to you. Want to hear the best part? 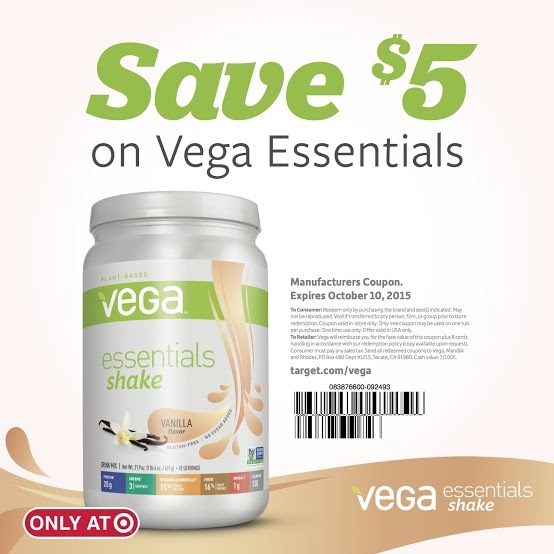 With the coupon below, you can save $5 on Vega Essentials at your Target today. Be sure to head into the store soon. This offer expires October 10th! Want to learn more about Vega? Be sure to check out the Vega website or connect with them through Twitter Instagram , or Pinterest to find delicious recipe ideas!